Woodhill House is an historic coastal manor house dating back in parts to the 17th century. The 6th century religious relic St. Conal s Bell was mysteriously stolen from Woodhill House in 1845. The house which overlooks the beautiful Donegal Highlands is set in its own grounds with an old walled garden. It is half a mile from the sea and a quarter of a mile from the coastal town of Ardara on the Wild Atlantic Way . 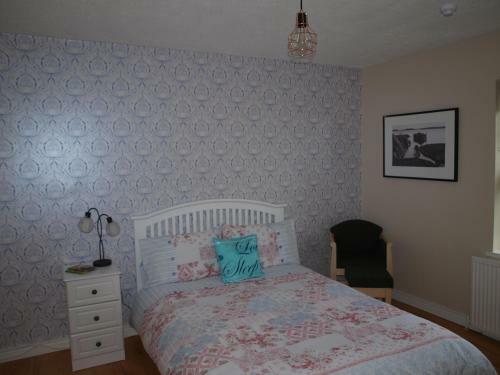 The house offers unusual and interesting accommodation with private bathrooms 3 star rated. There is a fully licensed lounge bar which has occasional music sessions for tourists and locals alike. Woodhill House is well known for its high quality and reasonably priced restaurant which accommodates houseguests and the general public. The menu is French/Contemporary Irish based using fresh Irish produce especially seafood from nearby Killybegs. Beside The Wild Atlantic Way Woodhill is well placed for exploring Donegal. The local factory shops offer exceptional bargains in tweeds and woollen goods. The Owenea River provides excellent salmon and trout fishing. Pony trekking along the beaches is also popular. The links golf courses at Murvagh Donegal town and Portnoo/Narin are all within a short drive. Boating and surfing can also be enjoyed nearby with some of the best Blue Flag beaches within easy reach. Cycle hire is also available Ancient Doon Fort and the Dolmen at Kilclooney again only a short drive away. Ireland s second largest wild life reserve Sheskinmore is a few miles north of Ardara. The truly spectacular Slieve League the highest sea cliffs in Europe is only 20 minutes away and close to Glencolmcille an archaeologically rich pagan and Christian centre with its fascinating folk village. A scenic 3/4 hour drive to the north is Glenveagh National Park with its romantic castle. Apart from some of the most unspoiled scenery in Europe traditional music can be heard in most of Ardara s twelve unique bars. One of the newest hotels in Letterkenny McGettigans Hotel (formerly Gallagher s Hotel) is centrally located in the heart of this bustling town with state of the art facilities including the Ard na gCeapair? BistroWarehouse Bar which serves a full bar food menu. This Letterkenny hotel boasts of a bistro restaurant free parking and feature the elegant Gaoth Dobhair Suite which can accommodate up to 180 guests ideal for the perfect Donegal wedding. This suite also plays host to many corporate functions and conferences. With 82 spacious and stylishly furnished en-suite bedrooms comfort is foremost in mind for our guests at McGettigan s Hotel Letterkenny (formerly Gallaghers Hotel). Each room is equipped with all of the modern conveniences you would expect to see from any premier quality hotel... Bedrooms have wall mounted multi-channel plasma TV s free Wi-Fi internet access and air-conditioning. They also have bathrooms with baths showers and hairdryers... The executive boardroom and the Colmcille Suite facilitate smaller business meetings which makes McGettigans Hotel in Letterkenny an ideal conference and banqueting location. Warehouse Bar Kitchen is more than just a place to drink and eat. Guided by the mantra high-end low-key it is the perfect mix of an intimate cocktail den and a social comfortable neighbourhood bar. Designed with an industrial feel Warehouse Bar Kitchen is dedicated to creating a combination of modern classics as well as bespoke cocktails for the truly adventurous. In the kitchen we have an eclectic offering of modern fare made with international influences for both intimate gatherings and larger crowds. When it comes to food we believe sharing is caring that good food is best enjoyed with friends many of our dishes consist of small plates and sharing platters and are inspired by various international cuisines. From bottled beers to draft craft ales wines and spirits we offer an impressive drinks selection that is designed to cater to all tastes. Our cocktail list is designed with a focus on classic cocktails that are loved internationally and includes a range of our own signature creations. Our cocktail list was compiled to include the internationally renowned classics and the introduction of our own range of signature creations. 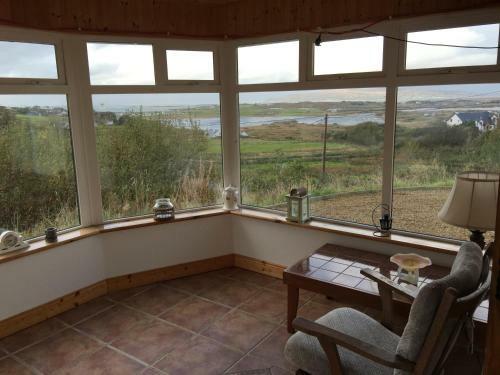 Bunbeg House Guesthouse is a friendly guest house with en suite rooms in the village of Bunbeg, overlooking the harbour at the mouth of the Clady River. Guests can enjoy free on-site parking at the property. 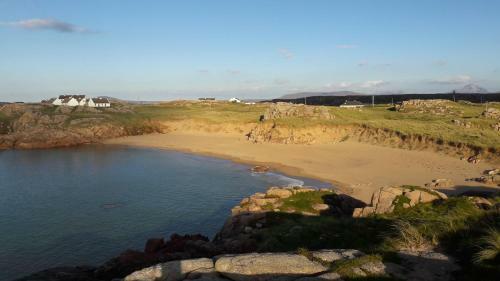 Situated in the Irish-speaking region of Annagry in County Donegal, Caisleain Oir Hotel is just 2km from Donegal Airport, as well as Carrickfinn Blue Flag Beach. Local activities include surfing, diving and golfing. 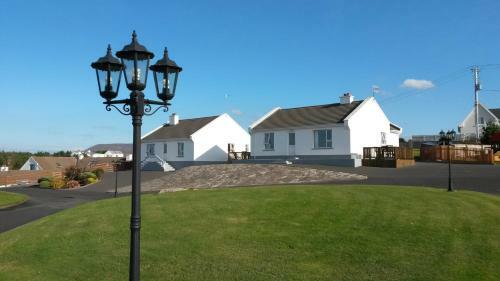 Bunbeg Holiday Homes is located in Bunbeg. Free WiFi access is available in this holiday home. The accommodation will provide you with a TV and a patio. There is a full kitchen with a dishwasher and a microwave. Situated in West Donegal, Danny Minnies Country House offers an award-winning restaurant and a cosy bar. With free parking and free Wi-Fi, it is just 5 minutes’ drive from Donegal International Airport. Bunbeg Lodge is a guest house set just 3 minutes’ drive from the beach, 13 km from Errigal Mountains and 16 km from Glenveagh National Park. It offers a garden, a shared lounge and a terrace. 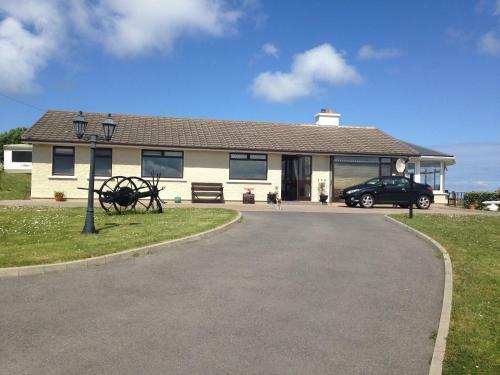 Offering a terrace and views of the sea, Teac Campbell is situated in Bunbeg in the Donegal County Region, 48 km from Donegal. Free WiFi is provided and free private parking is available on site. Each room has a flat-screen TV. Situated 1.5 km from the scenic village of Kincasslagh, Careys Viking House Hotel has a bar, a restaurant and live entertainment all year round. Lag Dubh offers accommodation in Kincasslagh. Free private parking is available on site. Certain units have a seating area where you can relax. Rooms include a private bathroom. Lag Dubh features free WiFi throughout the property. Teach Donncadh B&B is located on Cruit Island and just a couple of minutes' walk from the bridge connecting it to the Donegal mainland. 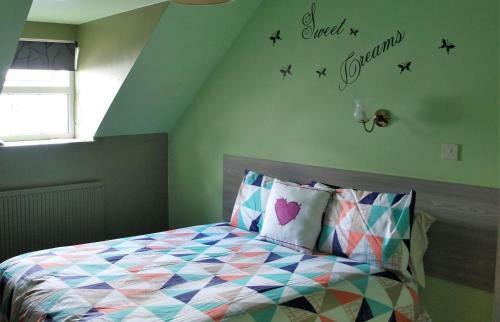 This small, homely Irish bed and breakfast has free Wi-Fi and just 3 bedrooms. 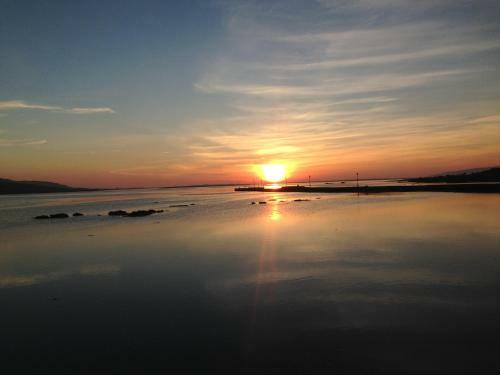 Featuring free WiFi, Hillcrest Bed and Breakfast is located on Cruit Island and is linked to mainland Ireland by bridge. Guests are welcomed with tea and coffee on arrival. Free private parking is available on site. 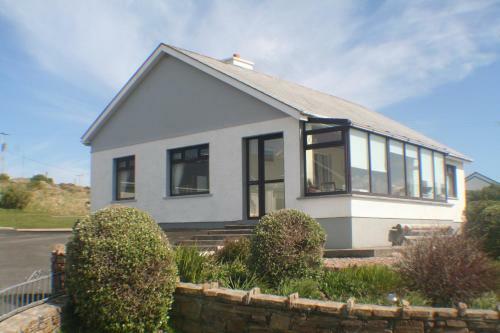 This detached cottage in County Donegal set in landscaped gardens on Cruit Island is only 4 minutes walk from sandy beaches. It is accessed from the mainland via a bridge. 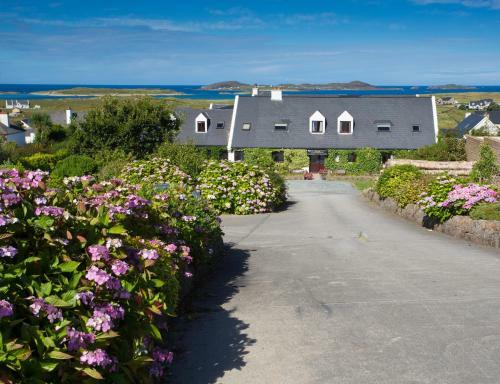 Featuring free WiFi throughout the property, Lóistín an Iuir offers accommodation in Annagry. Free private parking is available on site. Enjoy a cup of tea while looking out at the lake or garden. There is a shared lounge at the property. 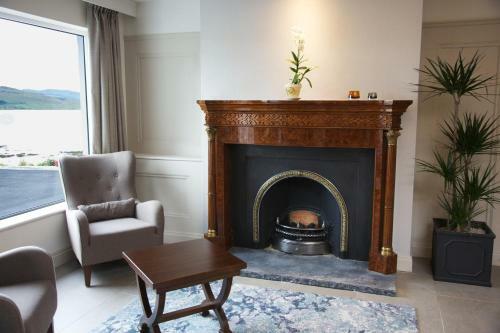 Featuring free WiFi, Homestay Derrybeg offers pet-friendly accommodation in Doirí Beaga. Free private parking is available on site. You will find a coffee machine in the room. Each room is equipped with a shared bathroom. 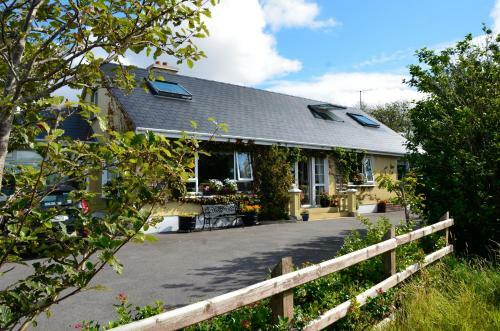 Self Catering Donegal - Teac Chondai Thatched Cottage is a detached holiday home is located in Loughanure and is 40 km from Donegal. Guests benefit from free WiFi and private parking available on site. 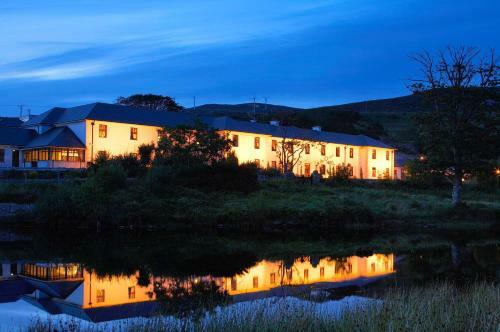 Located in a 100 acre private estate overlooking the Clady River and with views of the Errigal Mountain Peaks and lakes, this 4-star Country House Hotel is also home to the Serenity Spa. 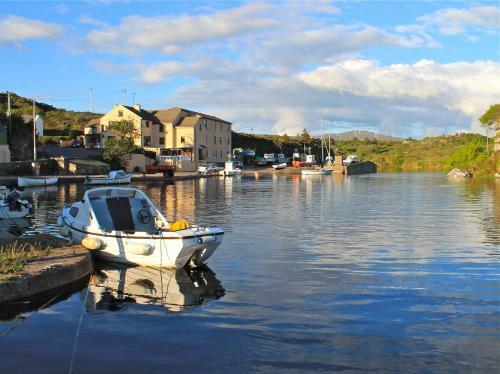 Situated in Burtonport, 42 km from Donegal, Island View B&B features free WiFi access and free private parking. All rooms are fitted with a flat-screen TV. Enjoy a cup of tea while looking out at the sea or garden. Teac Jack is situated in the heart of the Donegal Gaeltacht, on the edge of Ireland's rugged North West Coast. Featuring majestic views over the islands of Gola, Inis Meain, and Inis Oirthir, it has a restaurant, free parking, and free WiFi. 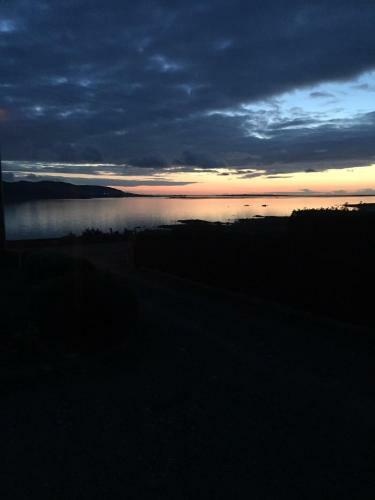 With scenic views of Dungloe Bay, Inisean Bed & Breakfast is situated in quiet gardens and just 5 minutes’ walk from Dungloe town. Free on-site parking is available to all guests. 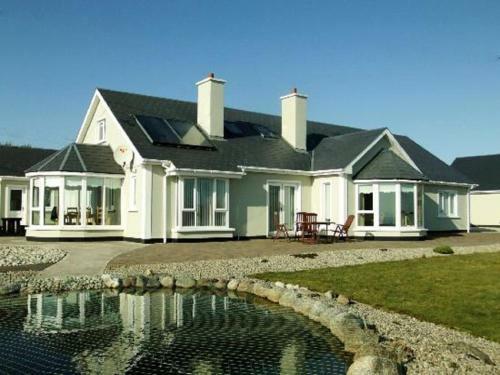 Offering a barbecue and sun terrace, The River House is situated in Dunglow in the Donegal County Region, 37 km from Donegal. Free private parking is available on site. All rooms come with a flat-screen TV. 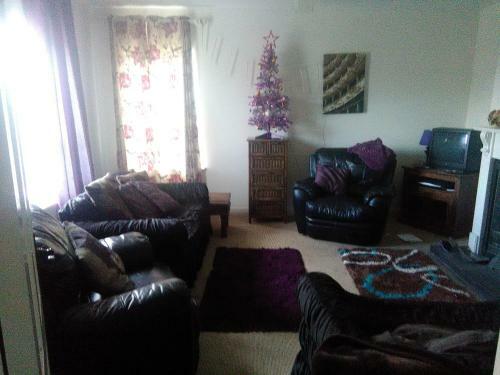 The River House Self Catering Apartment offers accommodation in Dunglow, 37 km from Donegal and 40 km from Letterkenny. The unit is 41 km from Ballybofey. Free private parking is available on site. Ardcrone House is set in Dunglow, 38 km from Donegal and 41 km from Letterkenny. Free private parking is available on site. All rooms include a TV. Some units feature views of the sea or garden. Set in Dunglow, 37 km from Donegal, Waterfront Hotel Dungloe boasts air-conditioned rooms with free WiFi throughout the property. Guests can enjoy the on-site bar. Free private parking is available on site. Every room has a flat-screen TV. 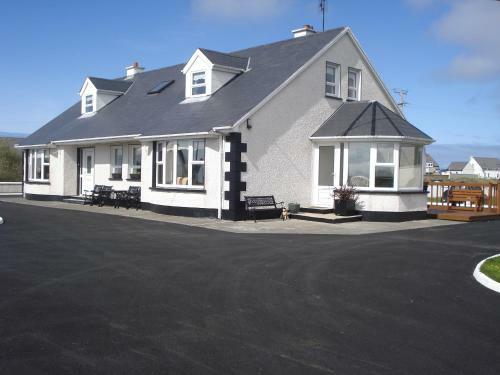 Sea View B&B is set in Dunglow, 37 km from Donegal. Free private parking is available on site. Sea View B&B features free WiFi . There is a shared lounge at the property. 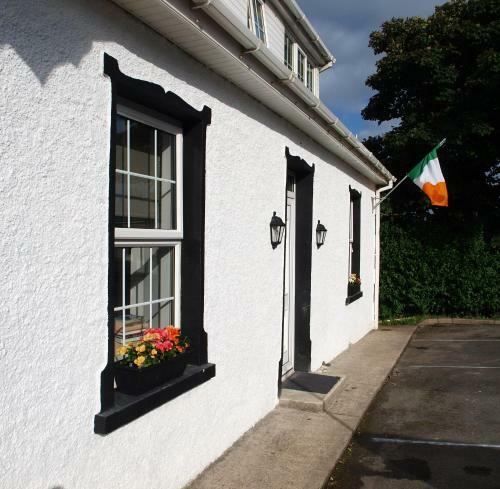 Located in Dunglow, 37 km from Donegal, The Midway Bar & Guesthouse features free WiFi access and free private parking. Guests can enjoy the on-site bar. Rooms are fitted with a flat-screen TV. You will find a kettle in the room. 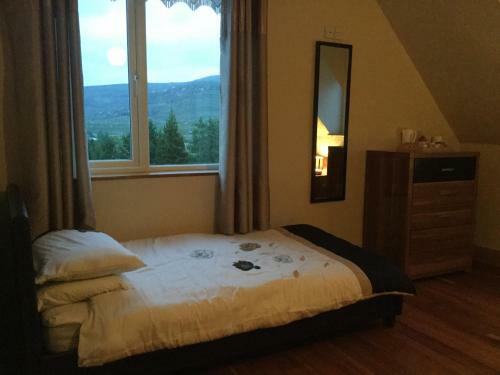 Situated at the foot of Mount Errigal, this purpose-built hostel is adjacent to Glenveagh National Park and Castle, with views over Poisoned Glen. 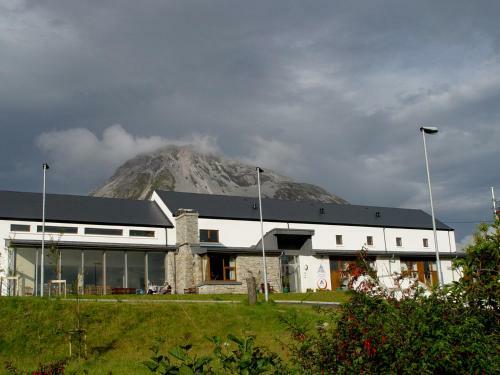 The Errigal Youth Hostel boasts a self-catering kitchen and a common room. Muldowney’s B&B provides comfortable accommodation in Ballard on Arranmore Island, County Donegal, just off Ireland’s west coast. 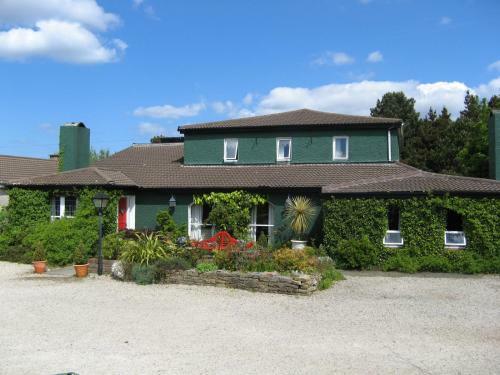 Located in Maghery in the Donegal County Region, this detached holiday home is 36 km from Donegal. Guests benefit from terrace. Free WiFi is provided .